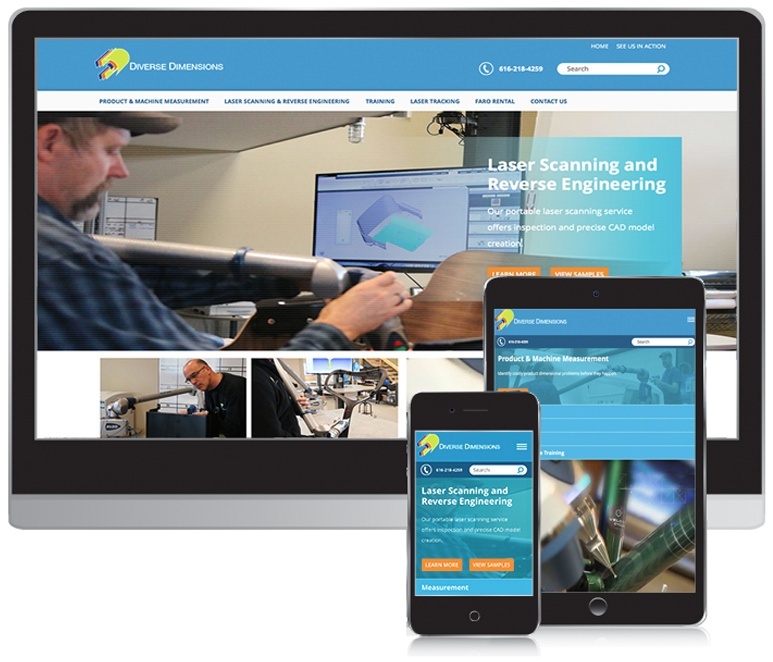 Specializing in laser scanning and reverse engineering, Diverse Dimensions needed a new logo, website and a strategy to drive more traffic to their site. Due to intense organic search (SEO) competition, Pay-per-click (AdWord) campaigns were part of the mix. The marketing strategy also includes a few traditional tactics such as print collateral, direct mail and tradeshows. 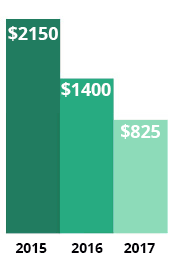 Every tactic is then measured so we can calculate customer acquisition costs. 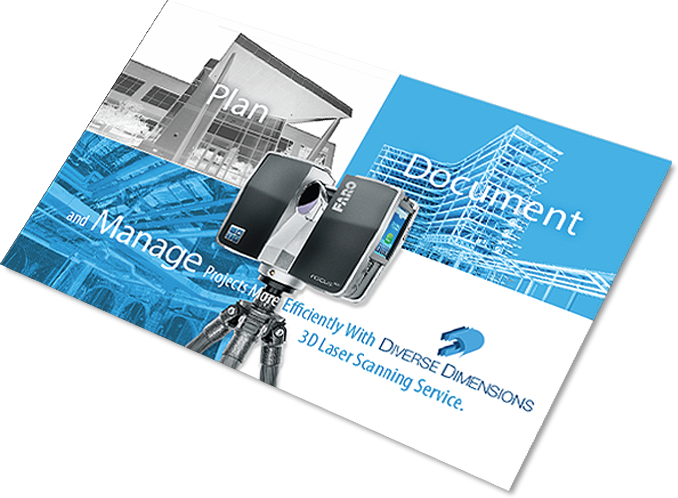 Diverse Dimensions offers over 100 training videos as part of their online subscription service. Diverse Dimension’s Jeff Mass has extensive knowlege and a great presence in front of the camera. Muller Design developed a new logo to give Diverse Dimension credibility and differentiation from the competition. Most of Diverse Dimensions’ new business comes from the web. Muller Design developed a comprehensive SEO strategy which drives over 1000 new visitors per month. 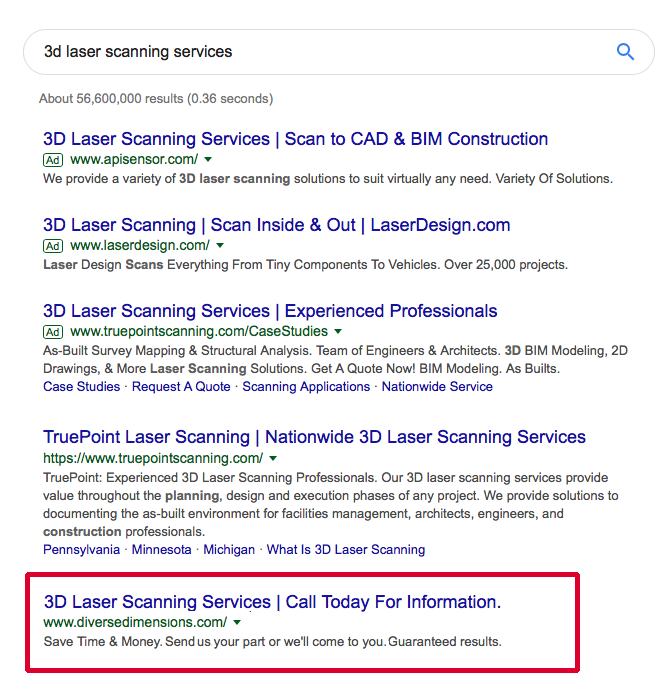 We implemented a search marketing (SEO) strategy that increased traffic from zero to nearly 20,000 visitors annually. To learn more about how to increase traffic to your website, schedule a call with us and we’ll show you how. Increased website traffic is great, but if you’re not getting conversions, what’s the point? 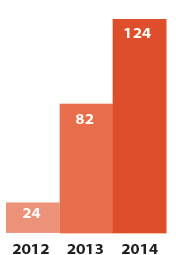 We started setting and tracking goals in 2012 and have increased leads dramatically ever since. 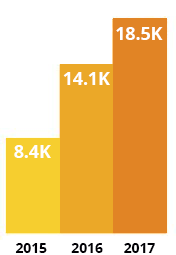 The next step is to use inbound marketing to reduce ad spend and continue to increase traffic and leads. Due to the intense competition for certain keywords, an Adword campaign was created. 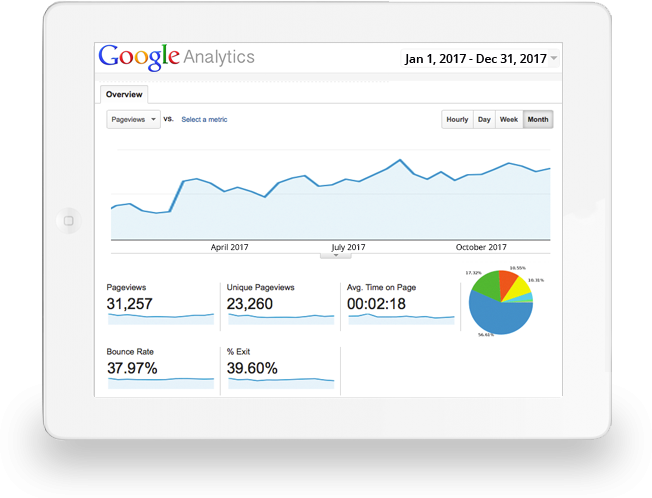 Adwords drive nearly 40% of website traffic, but we were able to reduce the monthly costs through various strategies without sacrificing traffic volumes. When Diverse Dimensions rolled out a new large scale scanning service, we used targeted direct mail with variable data as part of the promotional mix. We were able to keep costs low using a smaller format, digital printing, list targeting and list testing. We included a call to action to visit the website to view a 3D walk-through of a Frank Lloyd Wright house scanned by Diverse Dimensions. “I am convinced that our success is directly related to Muller Design's SEO and brand identity strategies. Every website update has been seamless and well developed. Jeff and his team always deliver a quality product and service that always yields visibility on the web far beyond my expectations.